It seems the older I get, the more conservative I get...with my cereal. Don't get me wrong, If someone finally came up with a crazy Vegan marshmallow cereal (a la Lucky Charms) I'd be the first in line. But for the most part, I've been avoiding super sweet cereals. Enter Nature's Path Organic Fruit Juice Sweetened Corn Flakes. 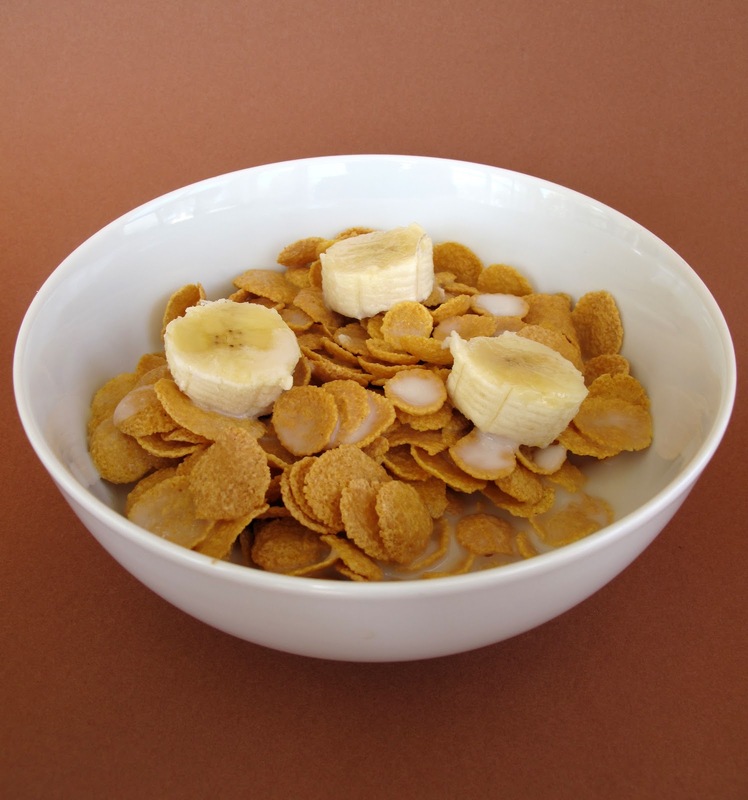 A great basic cereal that is lightly sweetened and has uncomplicated ingredients. Corn meal and/or yellow corn flour, grape and/or pear juice concentrate, sea salt. That's it. All while being Organic and Gluten Free. The cereal by itself does have a slight sweetness, but nothing that's going to blow you away and make you say "this was sweetened by a pear!" I tried the cereal by itself with unsweetened almond milk and it was tatsy. If you like a bit more sweetness, try some banana or strawberries to liven things up. Either way, it's a great way to start your morning! 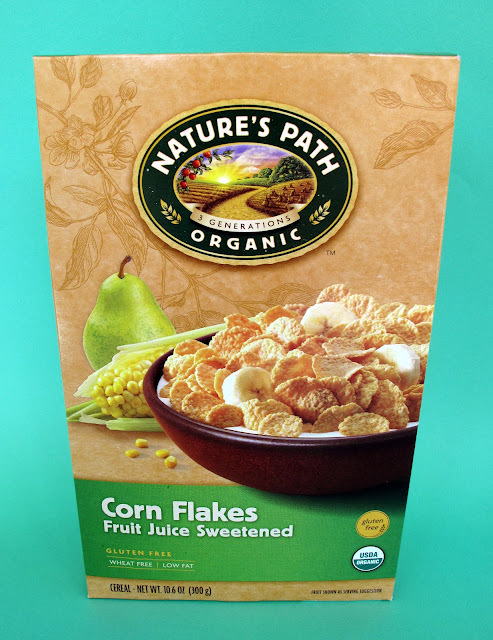 I've never tried these ones, but to my surprise I have totally fallen in love with the Nature's Path Heritage Flakes. Damn, they're tasty! :) Cereal for President. sometimes the best foods are the simple ones! *this was sweetened by a pear* hahaha. I totally know what you mean by leaning to the right um with your cereal choices.